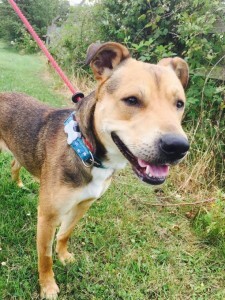 Simba is a very handsome 1 year old medium sized Crossbreed. 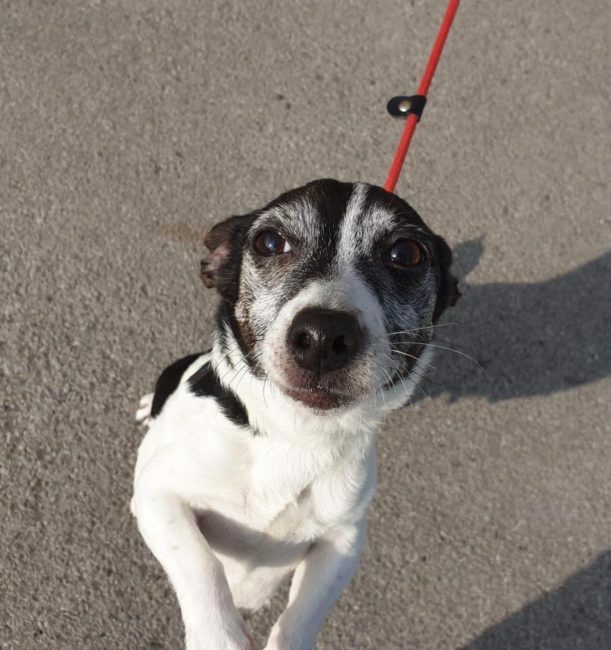 He is such a fab young dog who LOVES to be out and about on walks and exploring – he will walk all day given the chance! Are you the active family Simba has been waiting so long to find?? 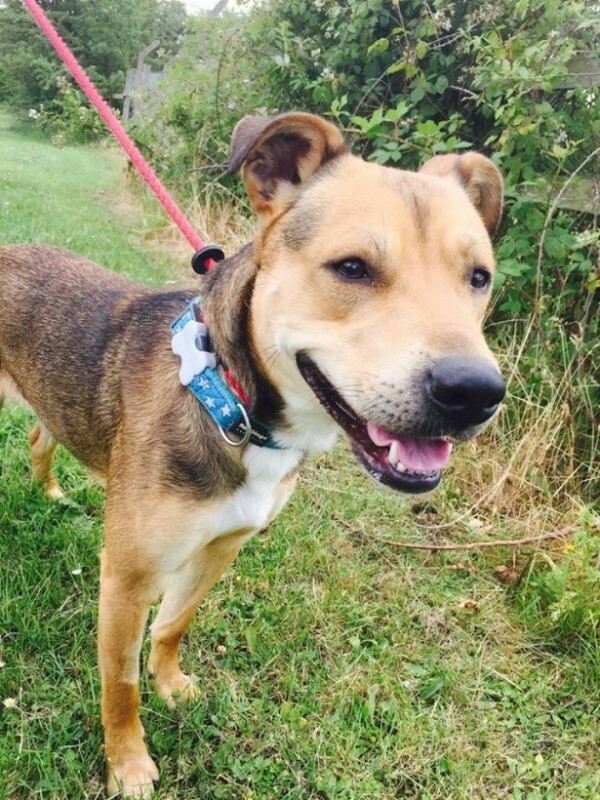 Simba is great with dogs once he has met them, and is desperate to play, he loves Coco at the kennels and they often go out walking together. On his walks, he sometimes gets over excited/frustrated when he sees another dog, and barks/pulls towards them so he needs a bit of guidance with greeting dogs nicely when he’s on lead, but he’s improved so much already with this! He walks nicely on the lead otherwise. He tries to stay clean in his kennel, which would suggest he’s housetrained, and he should be fine to be left for a few hours once settled into his new home, he settles very well after a good walk and loves to snooze in his bed. He can be a bit bouncy at times, so would be best in a home with children over 10 (but could live with confident younger children). He knows a few commands already, and is a very clever boy who would love to learn more! 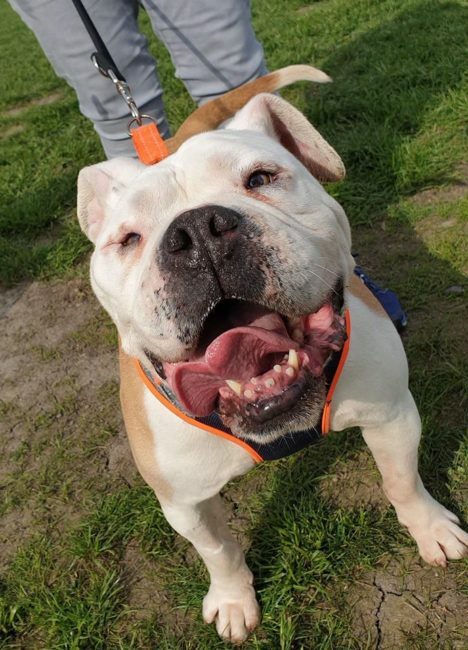 Simba is desperate to find an active home where he can start some training, he has tons of potential and is such a great dog and will make a lucky family a very loyal companion.